I’ve finally put the news on Facebook to my personal network, so I figure it’s ok to blast it here on the Internet. I’m expecting a baby! Baby #2! Wow. Half the time I think I’m crazy for disrupting the pseudo-rhythm we’ve got going on in our family trio, and the other half I spend thinking about what fun we’ll have with this new addition for the rest of our lives. Having a child is really a leap of faith. And I’ve learned since being a parent these last three years, that you pretty much need to embrace this approach and just let things be if you want to enjoy life and remain somewhat sane. As my husband could tell you, it isn’t easy for me not to be in control of just about everything. I’m seeing more and more that this is my lesson to learn in life – that things are most definitely out of my control, and it’s ok. There can even be unexpected fun in that space. And with about three months to go until the baby arrives, I am trying daily to remember that life will surely slip even further out of my control as I make way for another person’s presence in my world. I have these flash-forwards about how I’ll look back at this time in a few years and say, “Wow, raising young kids was just crazy, and it was a but a moment in time.” And I hope people are wrong who (repeatedly) tell me that the hardest years are ahead, those teenage years filled with rebellion. Because right now, it’s pretty darn hard to manage the physical and emotional tests that range from being woken in the night by my Bug who wants me to fix her blanket, to trying to answer her repeated questions of “Why” on any number of topics when I’m trying to get dinner ready at a reasonable hour. East Meets West Yoga. This studio, formerly on Church Street and now on Old Courthouse Road, was my go-to place in my first pregnancy. Now again, I try to attend one of the three prenatal offerings a week (Sunday 12pm, Wednesday 10:30am, Thursday 6:30pm). There are a variety of instructors, each with their own style (one instructor, Sarah, has her own list of pregnancy resources that’s worth checking out). It’s nice to be in a room with other pregnant women, many of them first-time moms, to remember that I am part of this prestigious club for a few months longer. Canary Orchid Retreat Massage. They have a wonderful deal on prenatal massages—the best I’ve seen around. It’s $69 for a prenatal massage if you go monthly, and the price drops by $10 if you go more than once a month. They have a similar, even less expensive, monthly membership pricing structure for regular massages. It’s right off of Rt 66 on Rt 7 – just watch out for HOV restrictions on 66! 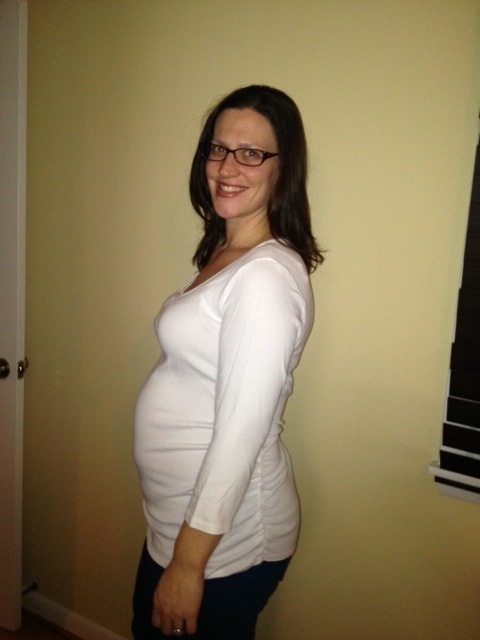 Doula, Tara Voigt of Your Body-Your Birth. She helped us the first time around, so it’s a no-brainer to have my friend and doula help again. Tara is incredibly knowledgeable about pregnancy, childbirth and all things postpartum, that I am delighted to have her on my speed dial. She continues to surprise me with the volume of what she knows. Stynchula Wellness Chiropractic & Sports Rehab. Dr Andy Stynchula knows a number of safe and alternative chiropractic therapies to help a preggo woman with back and other ailments. I relied on his expertise to recover from labor the first time, and came back stronger than ever. He ties his work to physical therapy on-site, too, making for a powerful combination. Lifetime Fitness. I’m still getting to the gym about three times a week, making it through most of a strength class weekly, and swimming laps and doing floor exercises other days. Having a wonderful gym to go to is great motivation to keep up some kind of exercise regiment, even as the scale goes higher and higher as baby grows healthy. While it’s hard to get bigger, I am confident that I can get back to a healthy weight and body shape once the baby is on the outside.